This beautiful canvas backpack from Paul Smith proves that sometimes, it’s really all about the details. Made from a sturdy khaki canvas, the bag is accented with a rich, contrasting chocolate brown leather on the front and brown canvas shoulder straps in the back. The main compartment features a pull-cord closure with a buckle-fastened top flap and logo-embossed gold tone hardware throughout, and a separate double buckle-fastened flap pocket with a branded logo patch sits lower down. 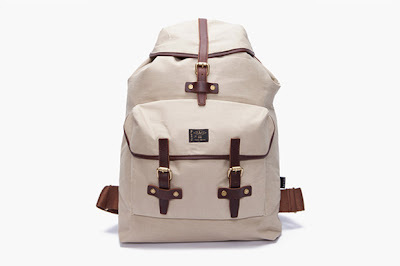 Backpack123.com is a website dedicated to provide people with latest backpack news and report the fashion style of backpacks.